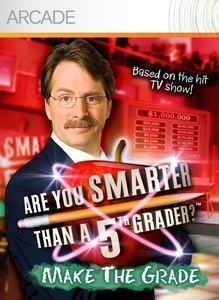 Are You Smarter Than A 5th Grader? Make the Grade was delisted from Xbox 360 no sooner than July 6th, 2011. According to Archive.org captures this is the last date the game was available to purchase and by December 2011 its DLC and add-on content was also removed. The game was most likely delisted due to expired licensing of the show from Fox. It remains available on physical media for other platforms but was a digital exclusive on Xbox 360.